Thank you for your interest in ASTCT's Early Referral Slide Set. To download the slides, we ask that you first complete this usage survey. If you plan to use the slides more than once, come back and take this survey again to be sure you have the newest version. This slide set was developed by the Committee on Education of the American Society for Blood and Marrow Transplantation (ASTCT) in conjunction with the Center for International Blood and Marrow Transplant Research (CIBMTR) and the National Marrow Donor Program (NMDP)/Be The Match®. 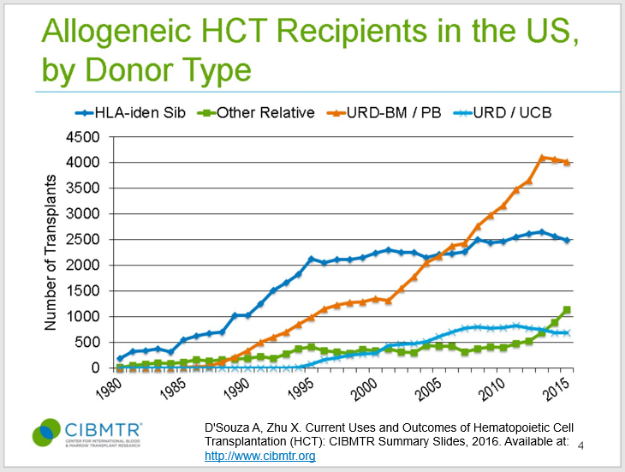 The field of hematopoietic cell transplantation (HCT) has grown increasingly complex with expanding applications and donor options. A major component of a successful transplant outcome is appropriate and timely referral of patients for transplant consultation. A contributing factor to successful transplant outcomes is appropriate and timely referral of patients for transplant consultation. Reference the 2017 Recommended Timing for Transplant Consultation guidelines for the latest disease-specific HCT referral timing recommendations published jointly by the NMDP/Be The Match® and ASTCT. NOTE: The slide set, consisting of a library of more than 100 slides to choose from, may be used in part (use only the sections you wish) but the slides themselves may not be altered.